When I first heard about makeup primers, I remember dismissing it as just a marketing ploy to get you to put more stuff on your face. After cleansing, toning, and moisturizing, I felt like I'd already done so much without having even touched any makeup yet so the idea of applying primer just seemed like a monumental bother. But as these things go, I got curious when more and more of my favorite bloggers began to rave about these wonder products. If you're at a point where you feel you might wanna give it a go, or looking for a formula that works for you, here are a few basic things you should know about primers! 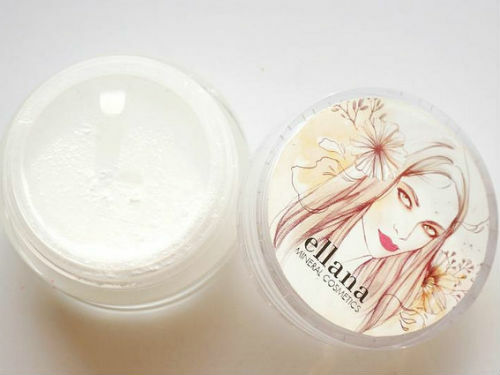 There are essentially just two kinds of primers: water-based and silicon-based. The water-based variety is your most basic type of primer, with the primary objective of making your makeup last longer. On the other hand, silicon has the ability to act as a sort of filler, so primers with this as a base emphasize a smoother skin texture and more refined pores. Before trying on a primer, it's important to determine what sort of base it uses. Some people are allergic to silicon or find that it causes them to oil up so if you've had negative interactions with that ingredient in the past, best to stick to a water-based primer. If you've ever tried painting, the material to be painted is usually primed before it gets its first coat of paint. This helps the paint adhere better to the surface and helps ensure that it will apply evenly and smoothly. Makeup primers perform the same way, and because they're applied before makeup, some of them are even fortified with skin caring ingredients! There are moisturizing primers, mattifying primers, complexion brightening primers, and even anti-aging primers. Some primers also include SPF, or are formulated as a sunscreen that doubles as a primer. Primers also function to address most skin issues so your skin looks flawless in real life. Use them to minimize pores, smooth fine lines, correct skin discolorations, or create a dewy finish. Basically, these things are magic and made me wonder why I didn't think to try them sooner. While I've mostly talked about how it functions as a face base, there are also primers developed for specific parts of the body. Lip primers keep your lipstick from feathering, while lid primers can make even poorly-pigmented eyeshadows look rich and vibrant. Some mascaras are double-ended to include a lash primer to amplify the length and volume of your fringe without clumping. Ok, I'm sold. Which ones should I get? The awesome thing about the growing primer craze is that there are so many to choose from now! If you're looking to buy your first ever face primer without having to shell out much cash, try something from our list of budget-friendly finds. Project Vanity also has a good number of individual primer reviews that you can binge-read, I mean, research on. Are you a first-timer or a full-on primer convert? What are your tried-and-tested products, or currently on your to-buy list?